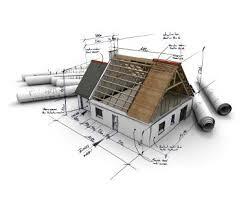 Why Investment Appraisal is not an option during investment in Real Estate. Investment in real estate is not a normal expense that you have to incur occasionally. It could as well be the biggest financial decision that you will make, therefore the need for a Real Estate Investment Appraisal. What exactly is Real Estate Investment Appraisal? Real Estate Investment Appraisal is defined as “the process of developing an opinion of value for real property or development project during investment to ascertain feasibility and manage investments risk”. An appraisal can be used as the basis for a decision on the acquisition/disposal of investment opportunities. You will be able to assess which investment is likely to produce the highest return in case of a situation where there are competing investments and a choice has to be made. . Property or development project investment analysis will therefore provide a methodology for making decisions about the prospects and future returns of different investment opportunities. Appraisal can also be used for the assessment of how much you should pay for an asset given factors such as; tax, the rate of return and subjected future expectations like rental growth and depreciation. etc. This will enable you to decide how much you can afford to pay for a particular investment given their particular circumstances. To lenders like banks, foreign investors and SACCO’s , a real estate investment appraisal will help in assessing the risk involved in lending out money for the project given that the value of the property or development project is known. This will therefore enable the best possible contract with you as the investor. The role of the appraiser therefore is assuring that the real estate investment is risk averse for all the parties involved and to ensure value is realized by the parties.